You’ll find the best hotels in Montenegro in Kotor and Budva, on the coast. While Kotor offers a fine choice of boutique hotels, occupying restored medieval stone buildings in the old town and offering personalised service, Budva is known for its big modern hotels with good sports facilities, which date from the Yugoslav-era, and are gradually being renovated to include minimalist interiors and luxury wellness centres. The country’s most prestigious hotel in is the 5-star Aman Sveti Stefan, occupying a totally restructured medieval fortified village on a tiny island, close to Budva. In both Kotor and Budva, the best hotels are heavily booked in peak season (when prices rise accordingly), so advance booking is essential. Grading: Like in most other European countries, hotels in Montenegro are classified using a star rating from 1 to 5. A bed and breakfast in Montenegro is known as a pansion, and is generally a low-grade hotel. Many visitors prefer to rent a room in a private house, or a self-catering apartment, both of which tend to offer higher standards and better value for money. Left over from the Yugoslav-era, there are plenty of well-equipped campsites, which are generally open from June through to September, and are concentrated along the coast. You'll also find some basic campsites in the mountainous interior. Off-site camping is prohibited, mainly because of the danger of forest fires. 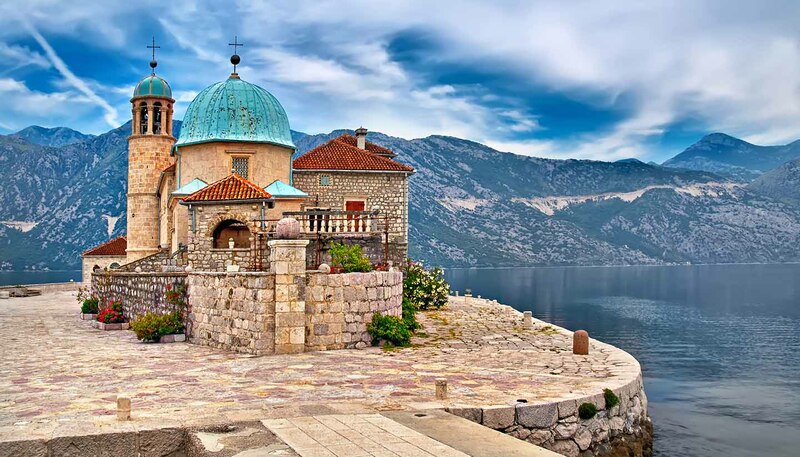 Backpacker Hostels: Privately-run hostels are slowly opening in Montenegro, with the first ones located in the popular resorts of Kotor and Budva. They vary in quality, from upscale-chic to shoddy and rather depressing. Resorts: Several luxurious new luxurious “marina-resorts” are currently under planning, mainly financed by wealthy foreign investors and claiming prime sites overlooking the Adriatic. The only one to have opened is the up-market Porto Montenegro in Tivat, close to Kotor, overlooking the Bay of Kotor. It combines a sailing marina with smart accommodation, restaurants and a spa. The other planned marina-resorts have similar aspirations, but have seen delays in construction, due to the global economic crisis. Self Catering: Many families offer rooms and self-catering apartments, which are generally of a high standard. They tend to work out better value-for-money than hotels, and also give more freedom to those travelling with children, as they can plan their own meals and sleeping arrangements.